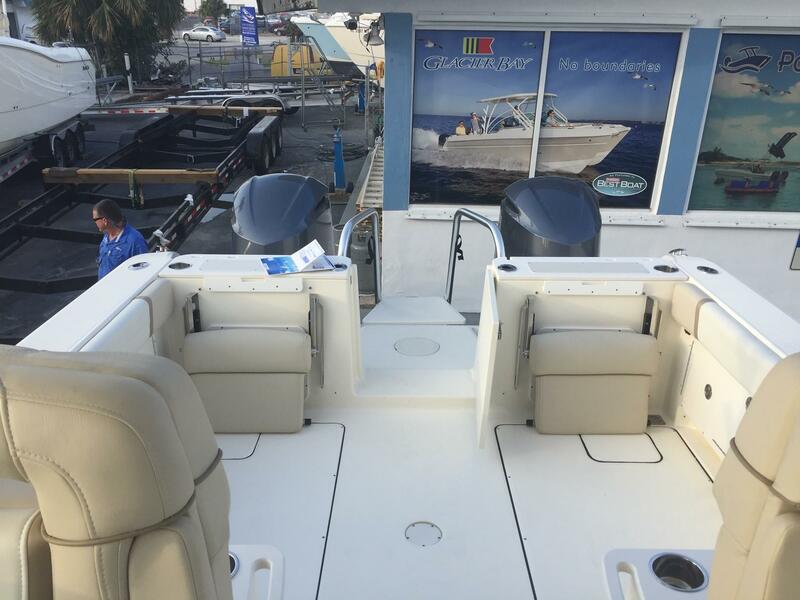 This gorgeous, gently used 2017 29’ World Cat 295 DC just arrived and is like new. 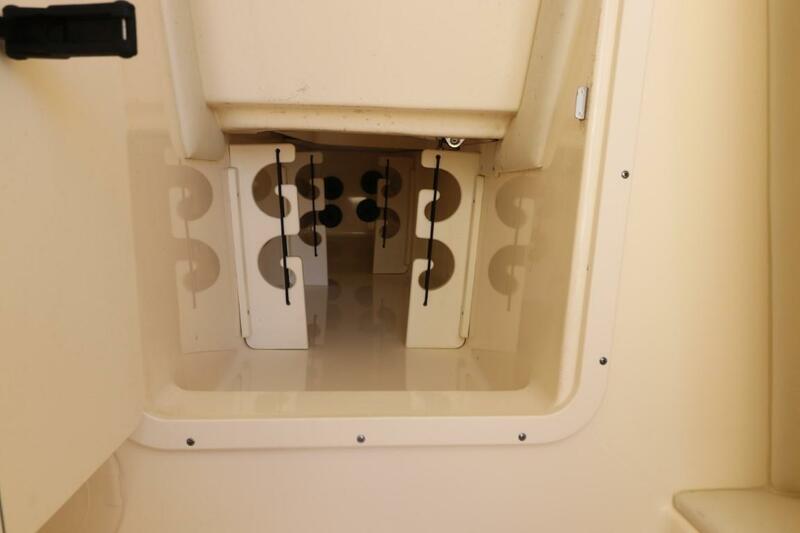 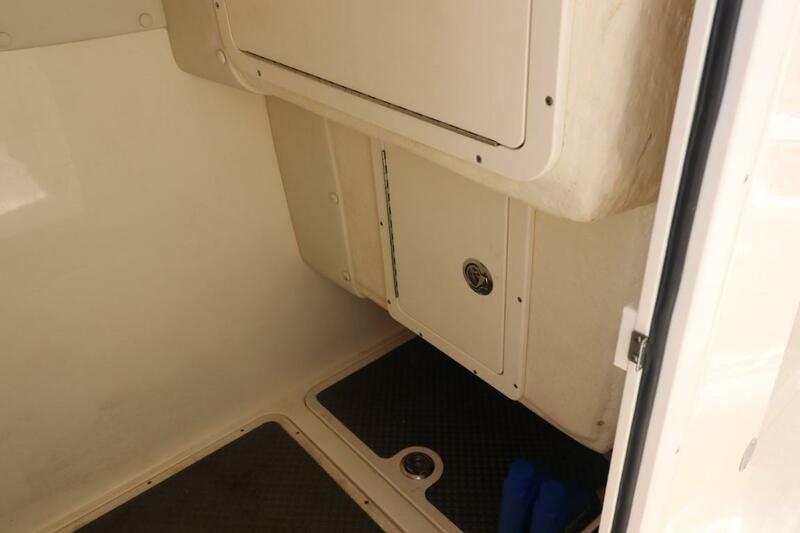 Lift kept and covered with included Stamoid tonneau and windshield to transom covers its whole life; it is incredibly clean. 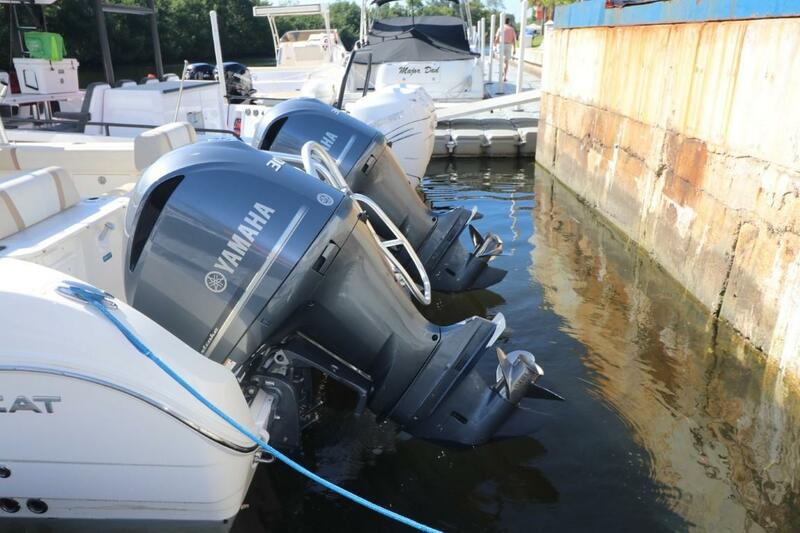 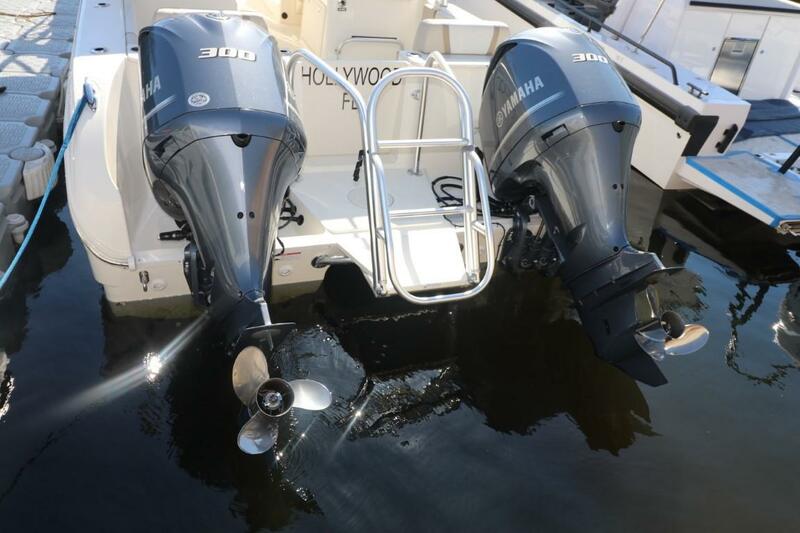 The 2017 Yamaha 300 hp 4 Stroke Motors were just serviced at 200 hours less than 10 hours ago. 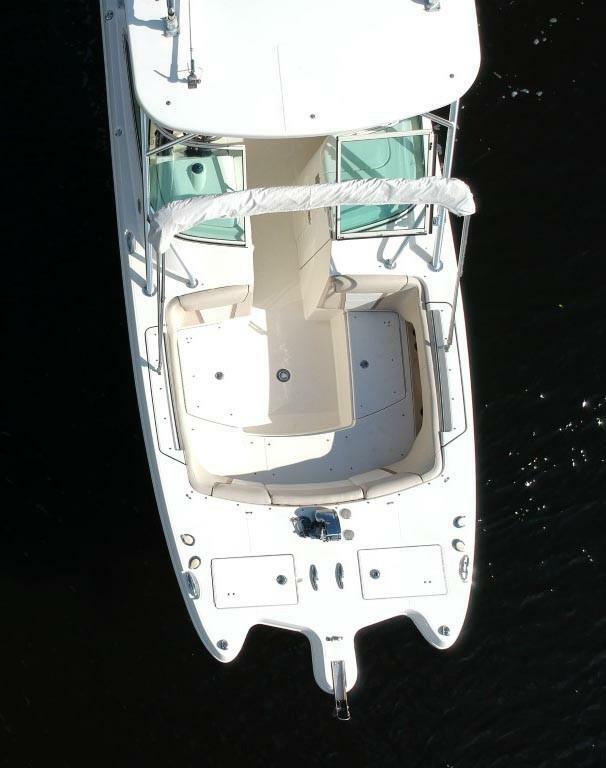 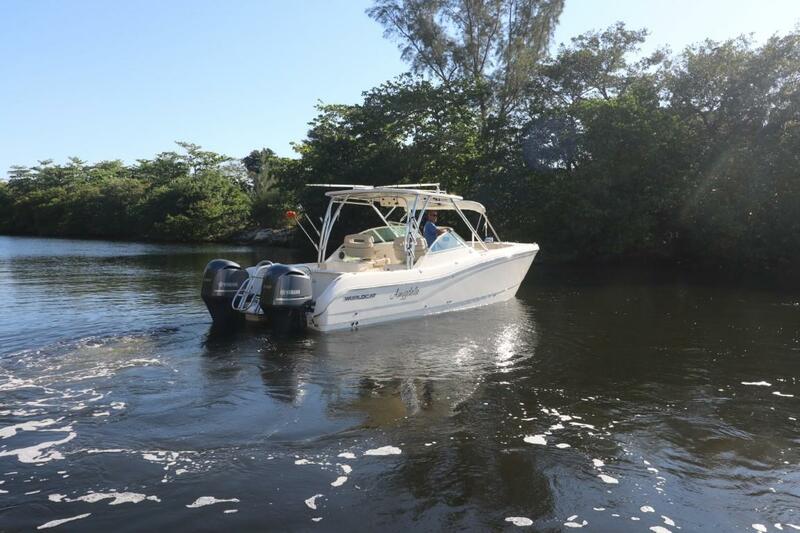 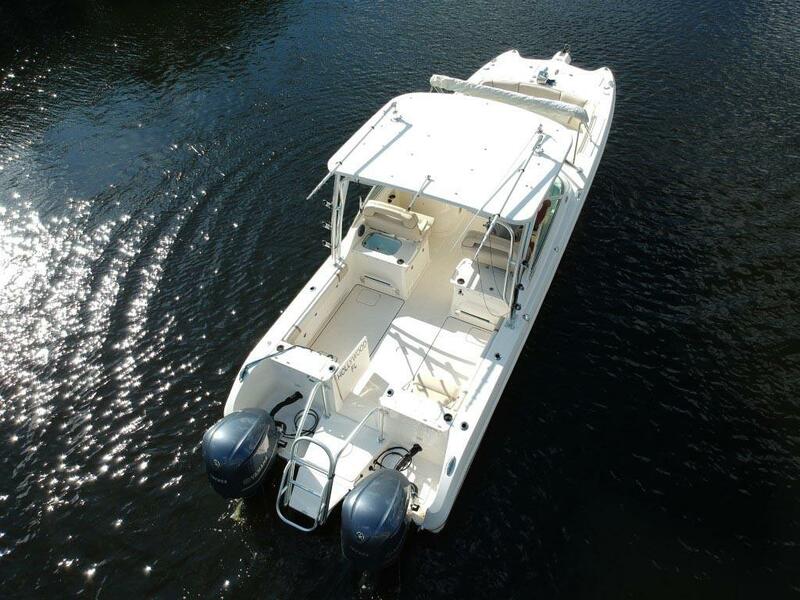 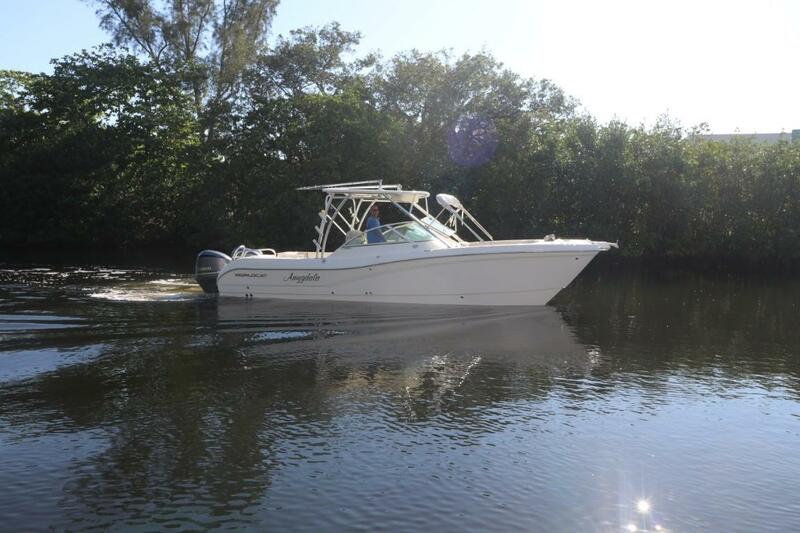 This boat’s Taco 380 Grand Slam Outriggers with 18' Poles, Lewmar Pro-Fish Free Fall anchor windlass, live well, tackle station, bait station, interior six rod locker plus large locker located starboard side, and exterior rod holders make this the perfect fishing vessel. 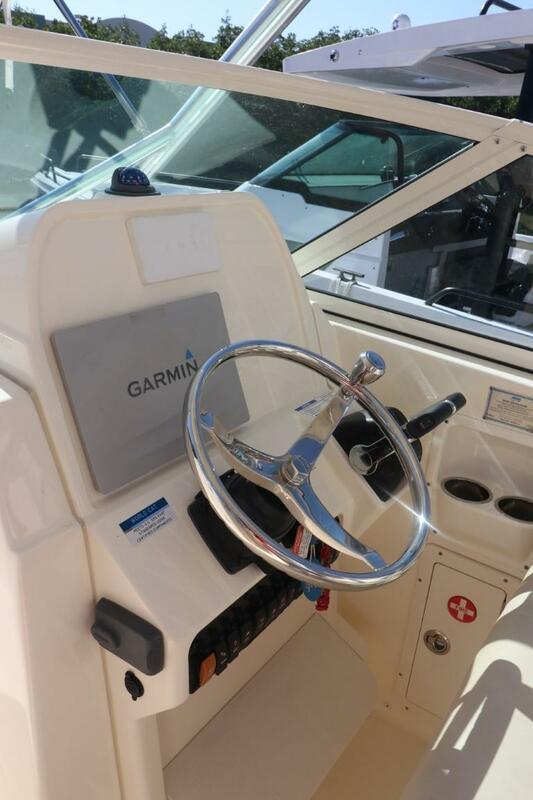 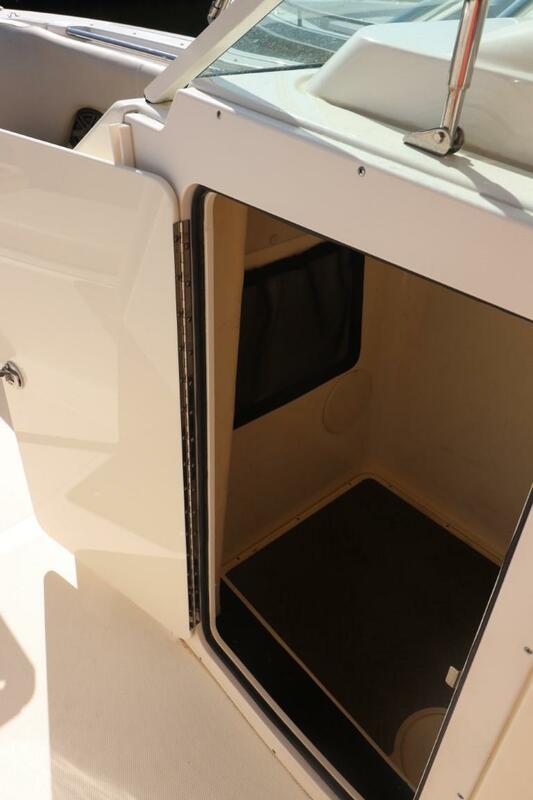 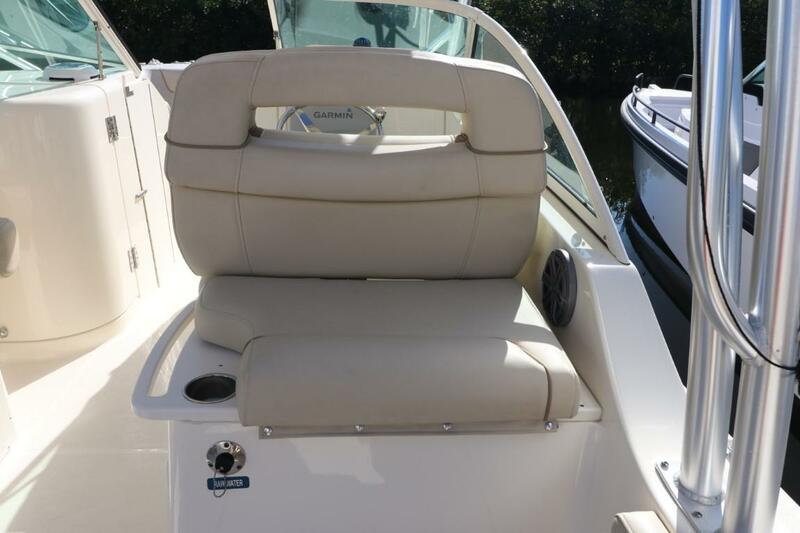 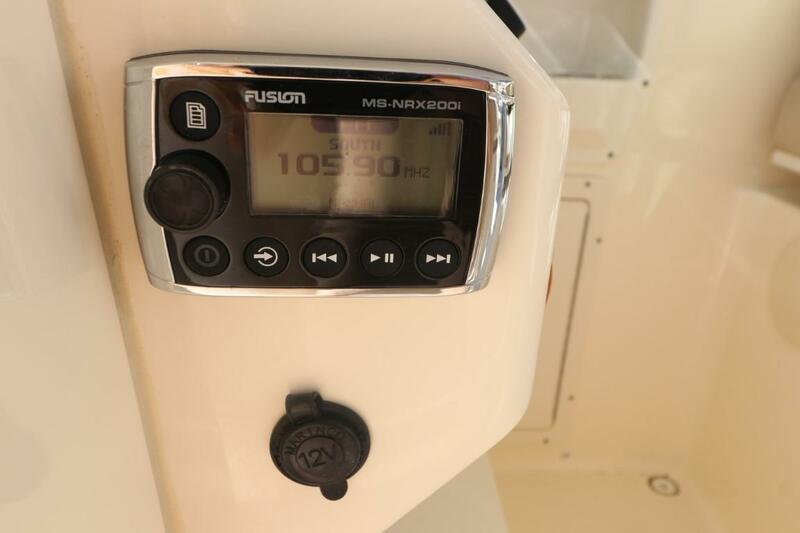 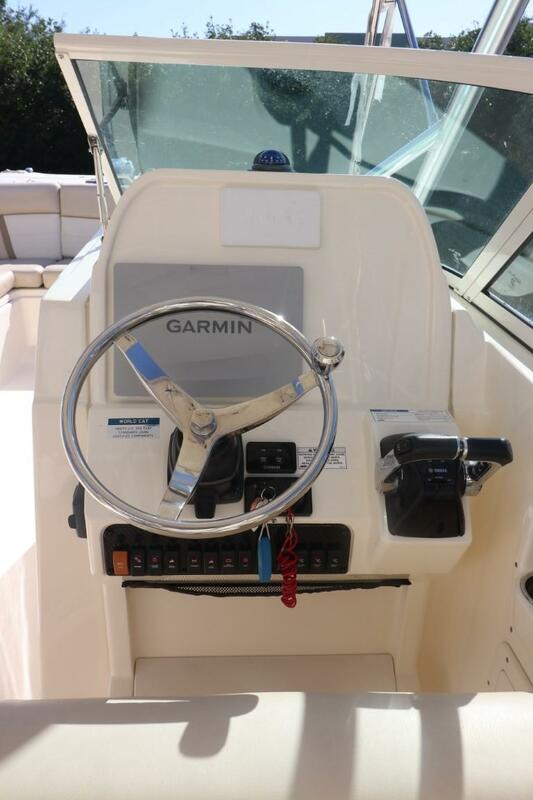 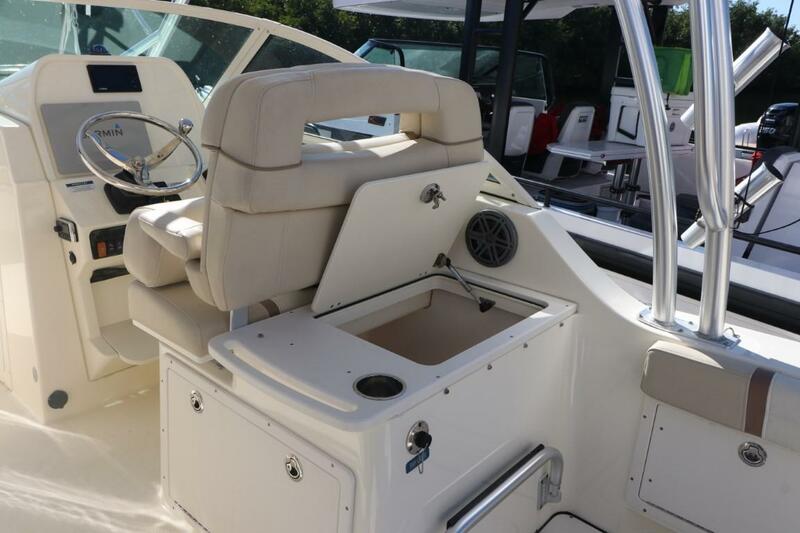 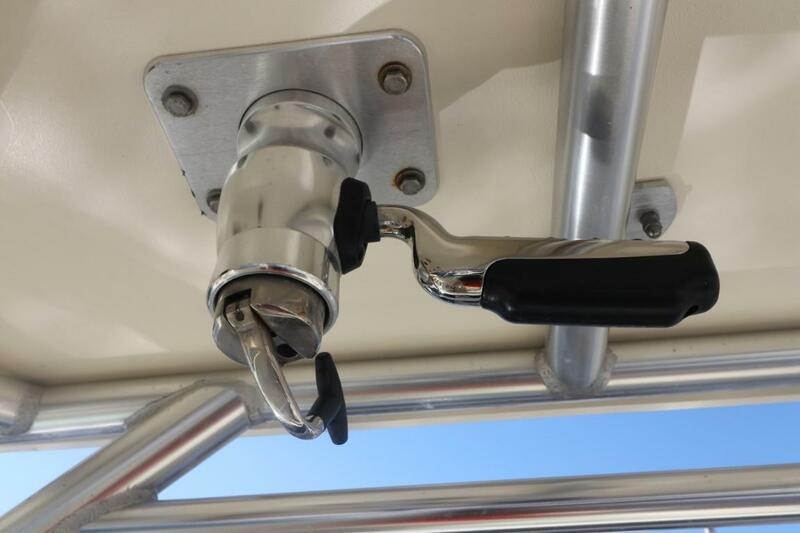 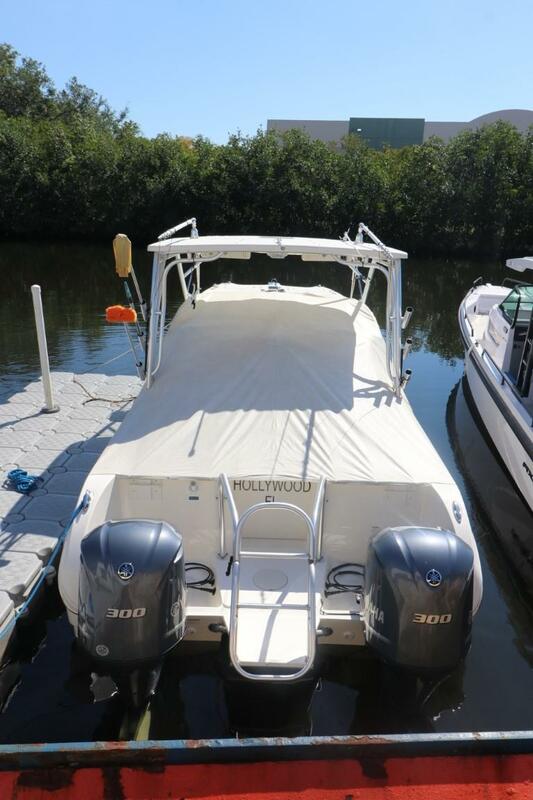 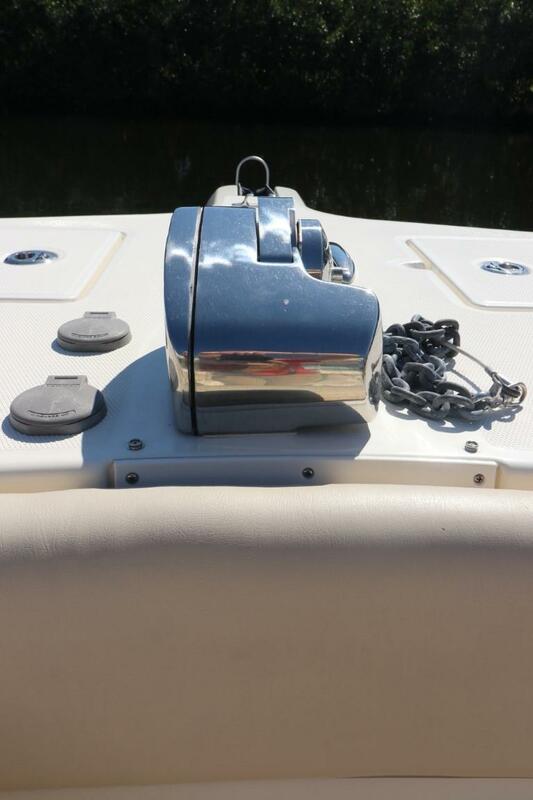 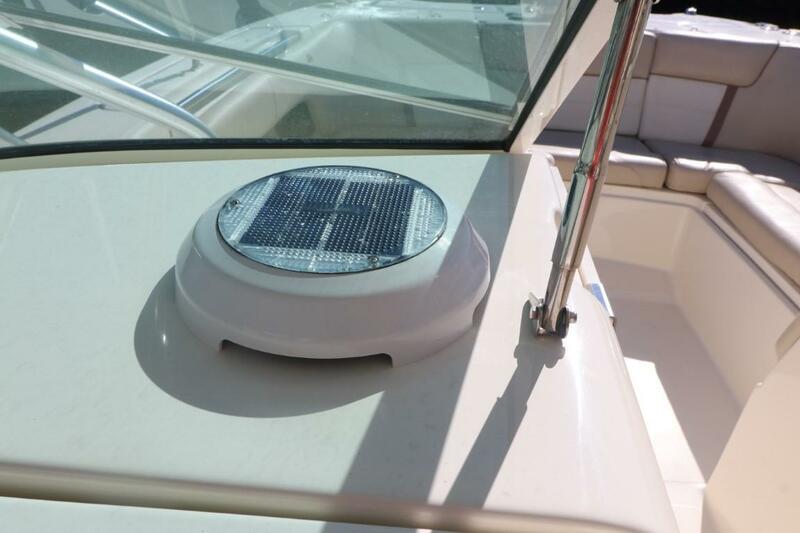 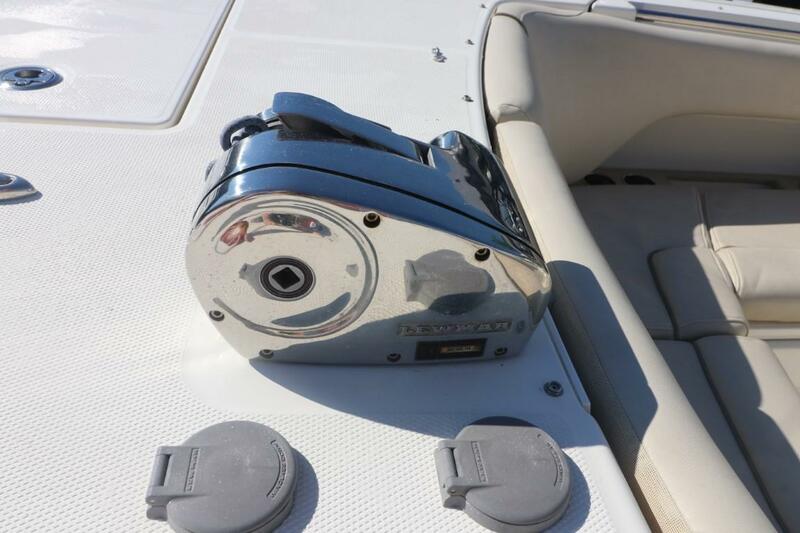 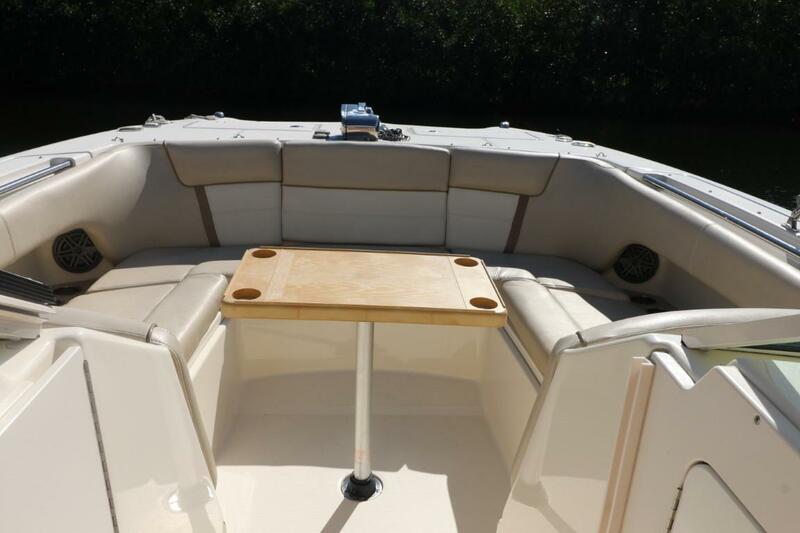 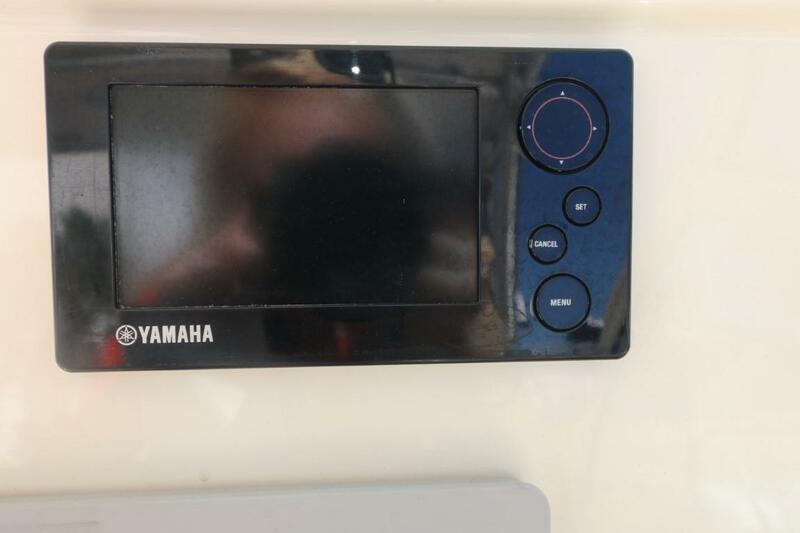 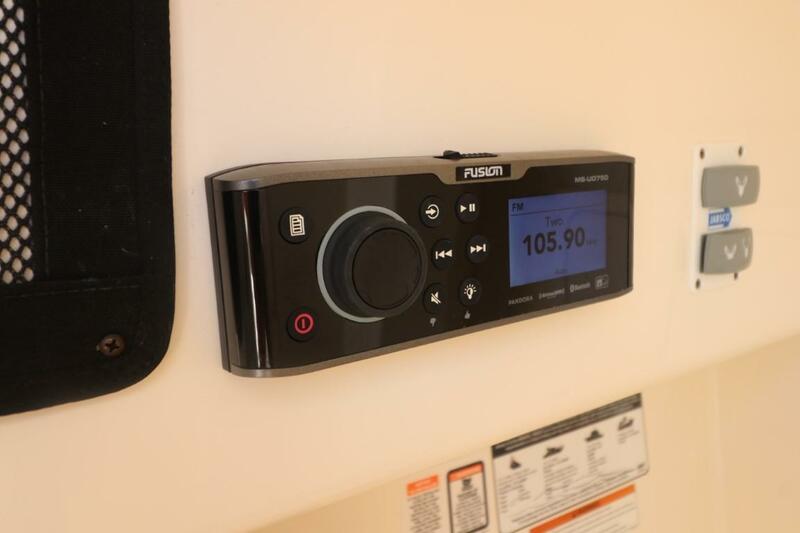 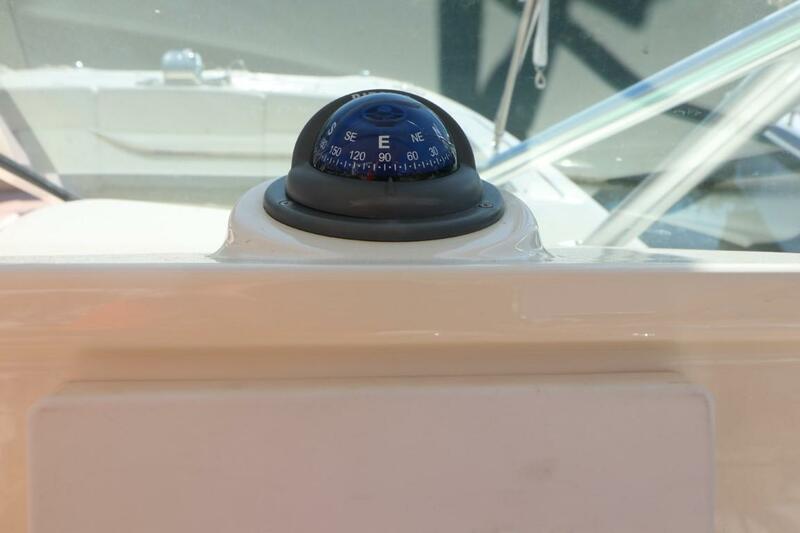 Included are overhead lights, Rigid Industries spreader lights, overhead electronics box, Garmin 7612XSV GPS Map/Depth Sounder, Garmin GT51-TM Mount Transducer, Horizon GX1600 VHF Radio, 3 bank battery charger, Fusion UD750 Stereo, and 4 JL Audio Speakers. 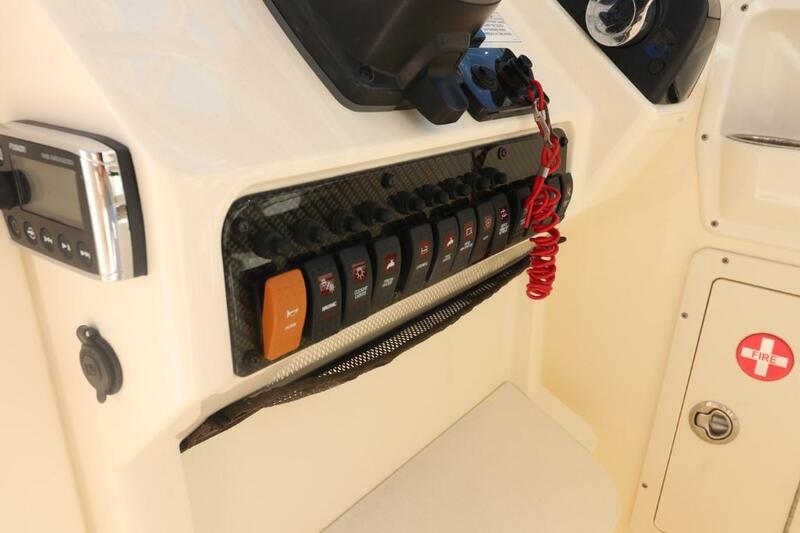 Keep your passengers safe with the included safety gear kit. 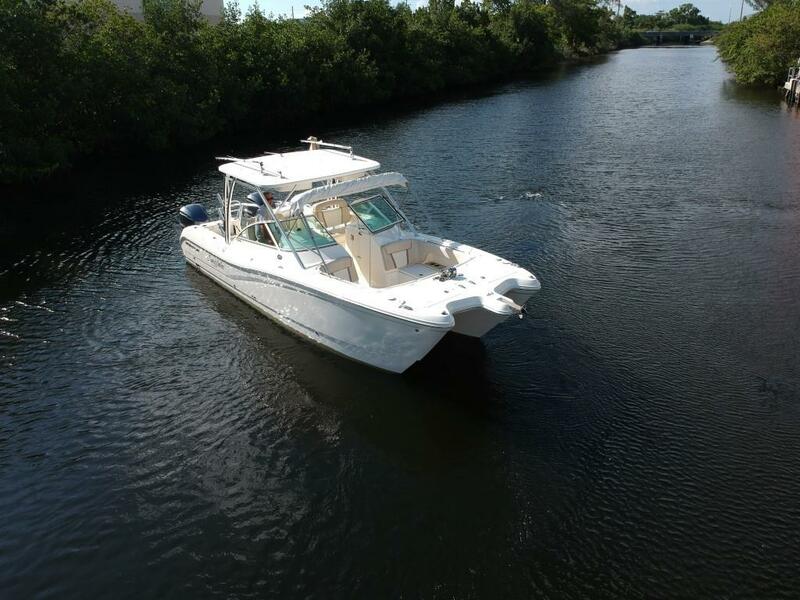 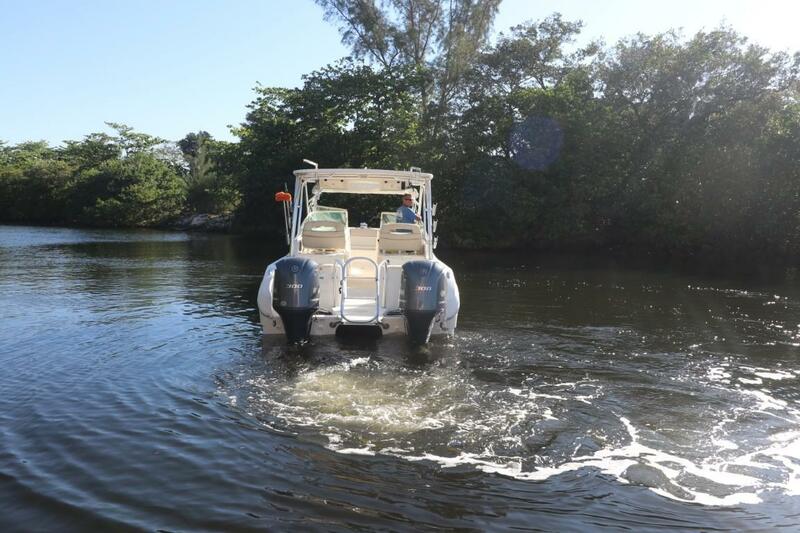 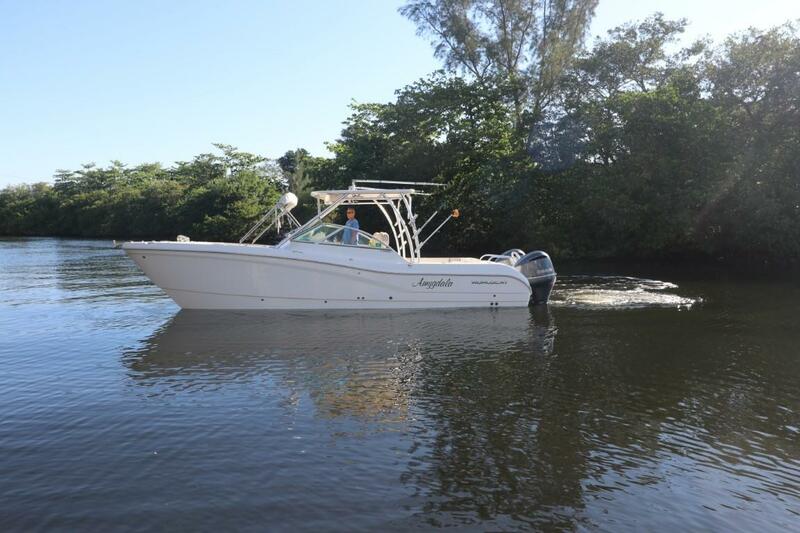 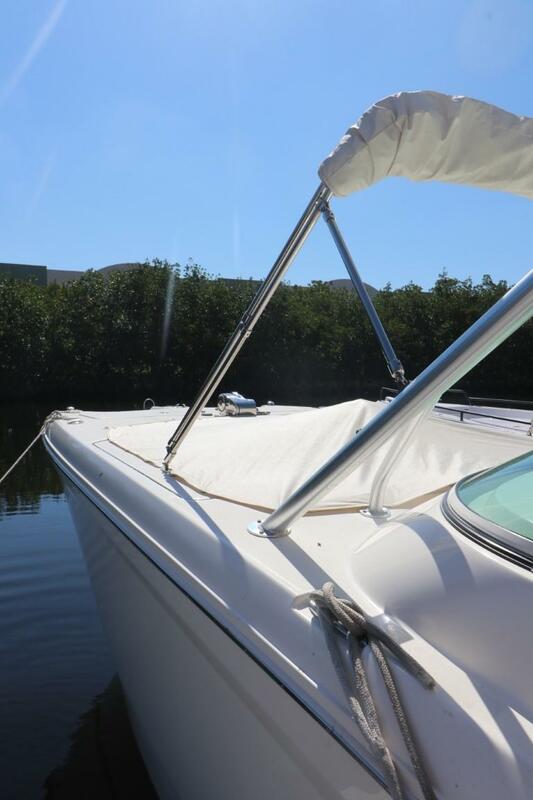 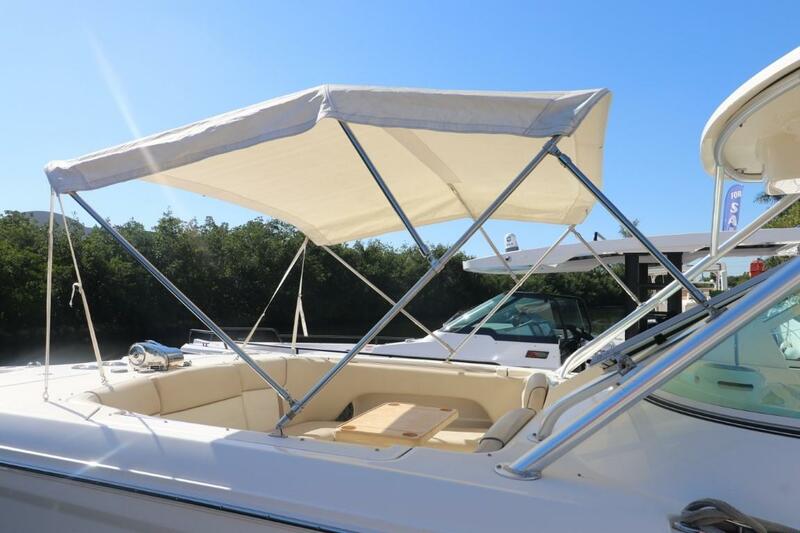 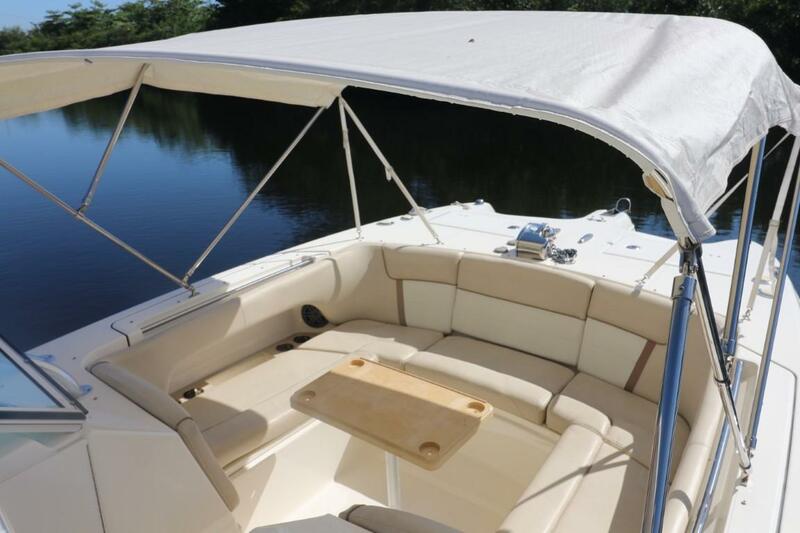 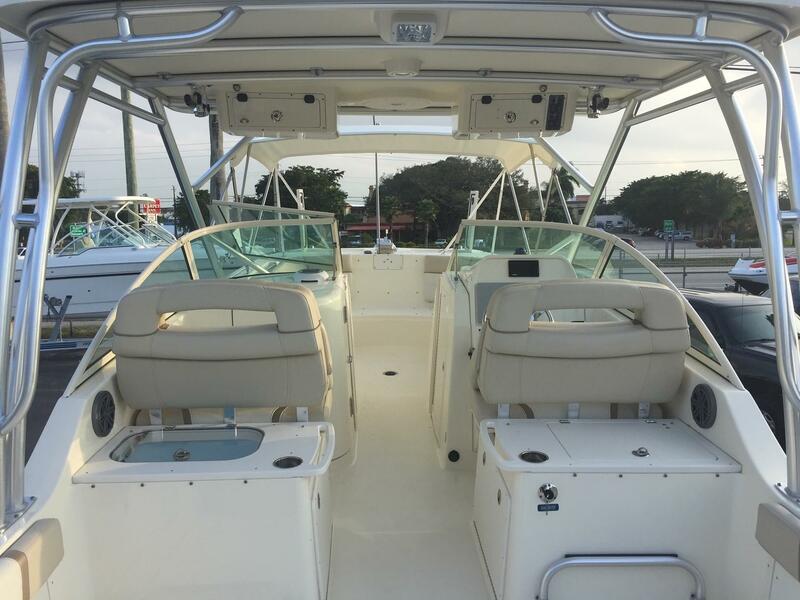 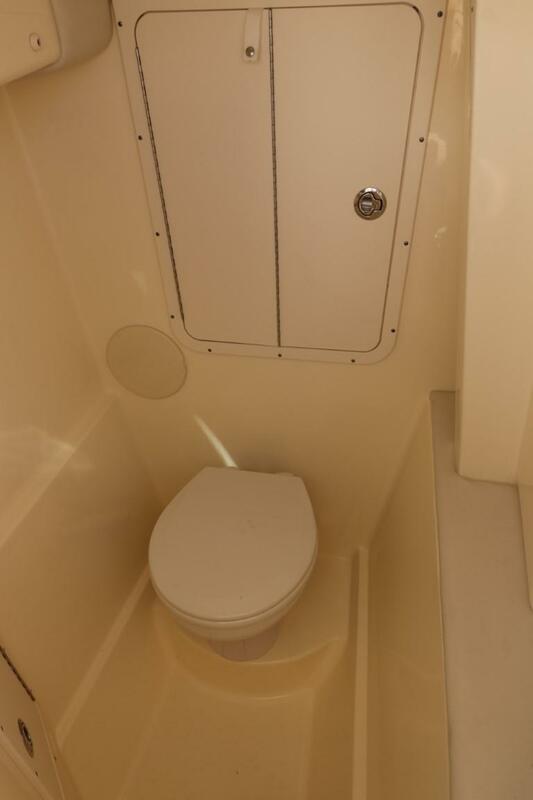 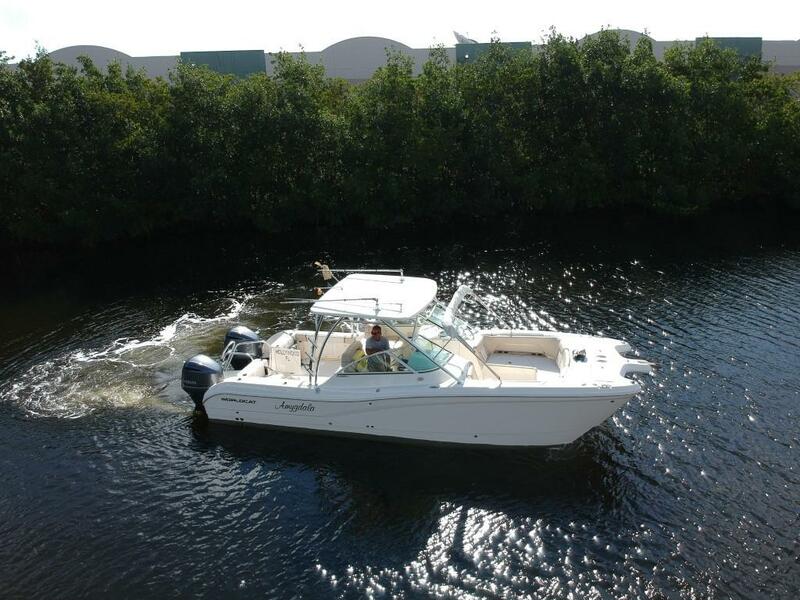 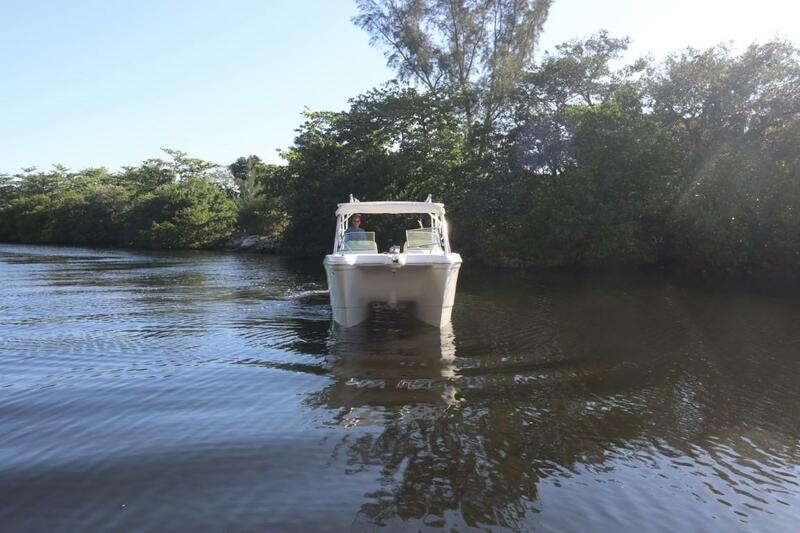 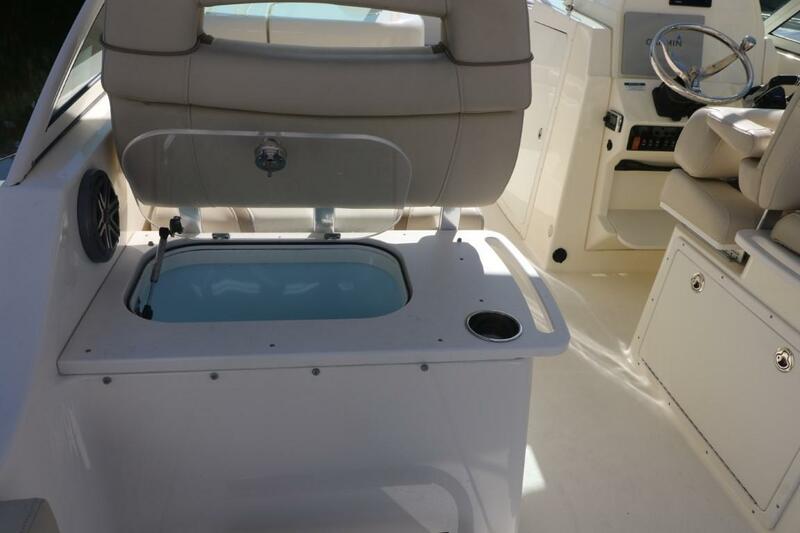 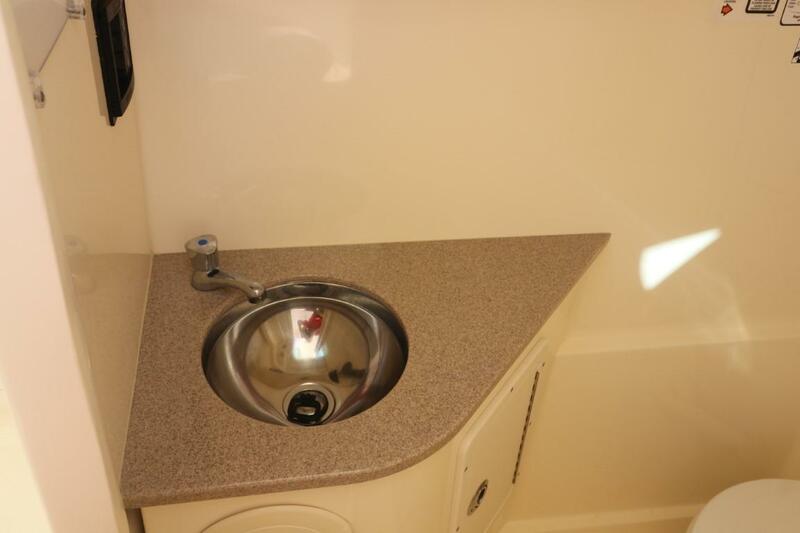 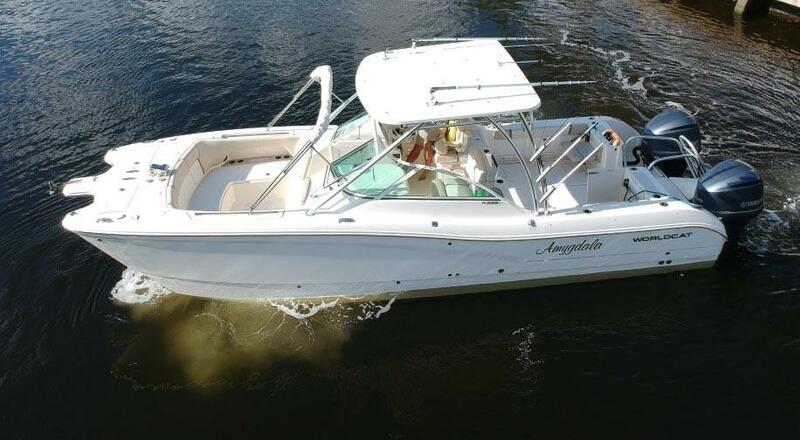 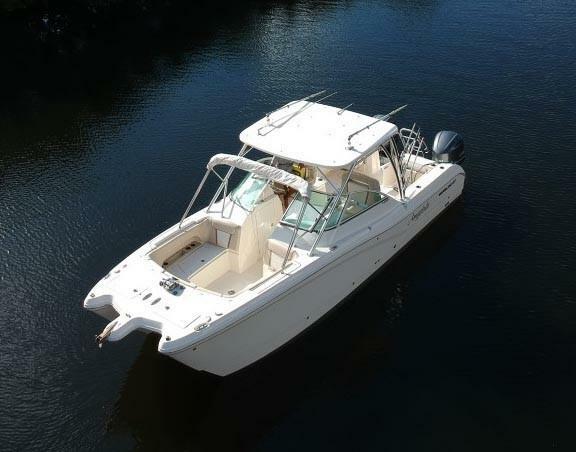 Your family will be comfortable for all day trips with the spacious head, fresh water shower, plenty of seating and included cushions, a removable bow table, shade provided by the large hard top and custom forward Bimini top. 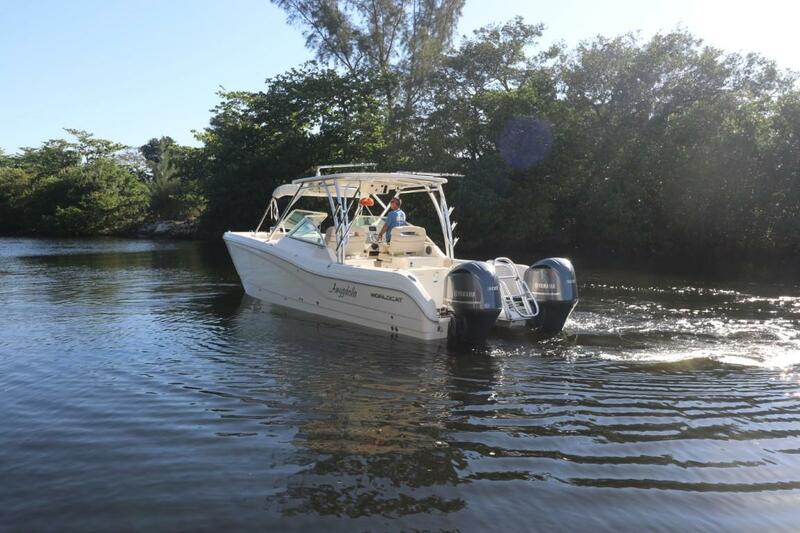 Enjoy easy swimming access with dive ladder.